Twitter needs to get itself better informed about India. It needs to become caste-diverse within the organisation and caste-sensitive on its platform. Much has been said and written since the ‘Smash Brahminical Patriarchy’ tweet kicked up a storm a month ago. It gave a peek into the online abuse Dalits face, which itself pales in comparison to the violence they are subjected to as they seek some semblance of equality. It also raised questions about the abuse women face, a point Amnesty International underscored with an authoritative study. It showed that 7.1% of the tweets that women journalists and politicians in the US and Britain received were abusive, but this number is much higher for women of colour. There is no doubt that Twitter is aware of the issue and has pledged to improve the safety of the platform. So what makes it so difficult for Twitter to take care of the abuse on its platform, particularly the abuse faced by Dalits? The answer to this question may very well lie in its inability to comprehend the societal dynamics that play out on its platform. For Twitter, the controversy highlighted the importance of considering caste, particularly when it comes to its operations in India. It learned the hard way that the caste system, despite being outlawed for more than 60 years, is alive and kicking in India. If Twitter and other MNCs look carefully, they will also find caste present in other countries where the South Asian diaspora is present, including in the US, UK, Australia and Canada; Dalits and other lower castes in these countries face discrimination in social interactions as well as in workplaces. The caste system not only affects Dalits and other marginalised sections, but also affects women who face oppression across caste lines. As women are considered the gateways to maintain the purity of castes, they are socialised to follow the patriarchal norms with respect to what they can do, what they can wear, whom they can interact with and how and whom they can marry. And women who resist these patriarchal notions face serious reprisals. Dalit women face the worst of the subjugation and are doubly oppressed, by both men and the caste system. They are treated as the property of upper-caste men and are often subjected to violence and sexual assault. This has roots in the Devdasi or Jogini systems that predominantly enslaved Dalit women. Twitter has given a semblance of a voice to these marginalised and often persecuted groups – to express their thoughts and opinions – and throw light on the oppression they face. At the same time, it also provides the privileged – upper castes, dominant castes and men – with a new way to target and abuse women and Dalits. 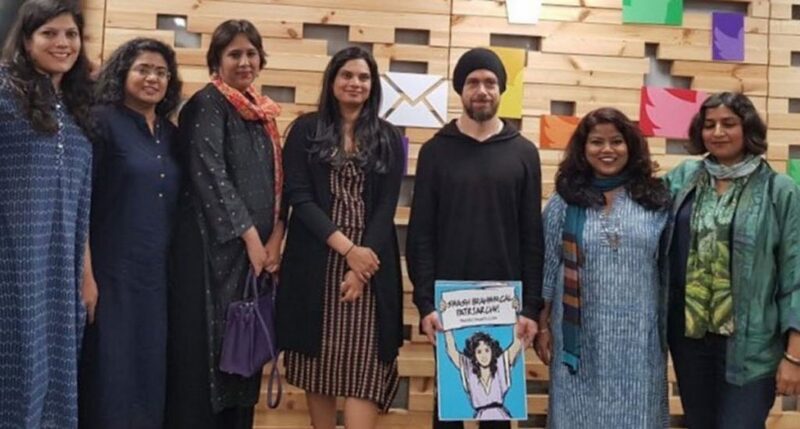 In short, the rage against Jack Dorsey holding the “Smash Brahminical Patriarchy” placard has given Twitter a taste of the societal dynamics in India. But, to act on it, the company needs to understand its role in upholding or breaking the barriers of race, gender – and caste – in the workplace. Many multinationals corporations from the developed world promote egalitarian values, including gender and racial equality, through various affirmative actions. These are aimed at levelling the playing field for the disadvantaged and discriminated. So if these companies are operating in India, it makes sense that they should have caste-based affirmative actions. But unlike gender and race, which are conspicuous, caste is invisible. So MNCs need to understand how the caste system creates and maintains economic inequalities by determining what people can inherit and possess, the kind of resources and opportunities they can gain access to and the type of rewards they receive for any contribution. As a result of not knowing the caste dynamics, many MNCs – while hiring in India – actually look for people with a certain type of family background and a cosmopolitan profile. As a result of so many accumulated advantages over centuries, the upper castes are the ones who often end up working for these MNCs and occupying positions of power. There also still exist biases in hiring that prevent lower castes from getting equal treatment. And even when the lower castes, particularly women, enter the corporate sector, they do not get the support to succeed and face discrimination. So, unwittingly, these companies are replicating the caste system within their own organisations. As a result of not being exposed to the complex and hidden ways in which the caste system operates, MNCs unwittingly replicate the caste system within their ranks. To avoid that, they should enhance their awareness of the ways in which caste operates – and how it can affect their potential hires, employees, workplace interactions and even suppliers. More importantly, they need to include caste in diversity audits and sensitise their executives and managers to caste discrimination. The recent controversy revealed that Twitter was blindsided by caste, despite the fact that the company’s legal and safety head is of Indian-origin. It also goes to show that Twitter needs to increase caste diversity in its organisation, particularly at decision-making levels, so that people who are aware of the caste system or have lived experiences can help create an equitable company and platform. But there’s more Twitter can do. It can take a hard look at its algorithms to monitor caste-based conversation and bullying. It can ensure that caste slurs and harassment are easy to report; and that means making sure that those who decide which tweets are caste-sensitive understand the complaints made by Dalits and other marginalised sections in the first place. The social media giant also has to take a hard look at those who make complaints about the accounts of Dalits, women and other marginalised groups. In the past, Twitter had blocked accounts of Dalit women purely because they were reported as offensive. This can easily happen if such reports are handled by Twitter employees whose caste position is similar to those who reported. In short, Twitter needs to get itself better informed about India. It needs to become caste-diverse within the organisation and caste-sensitive on its platform. Otherwise, it runs the risk of perpetuating the outdated and outlawed caste system within its ranks, and providing a platform that the privileged can use to reinforce their position through the harassment and intimidation of the disadvantaged. 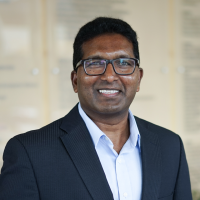 Hari Bapuji is an Associate Professor of Strategic Management and International Business at the University of Melbourne. This is a modified version of an article which first appeared on Pursuit and The Conversation.